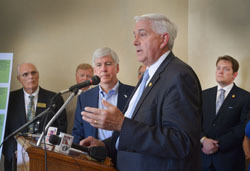 SAGINAW, Mich. — State Sen. Ken Horn was joined by legislative colleagues and community leaders from across the state on Thursday as Gov. 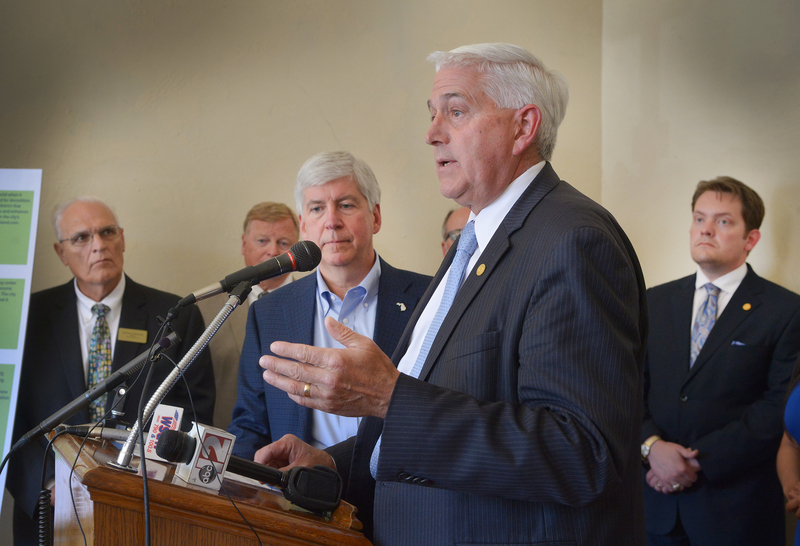 Rick Snyder signed legislation that will help revitalize communities throughout Michigan. “I’m pleased that with this legislation, we’re able to give local governments a tool that they’ve been asking for to assist with the redevelopment of difficult-to-develop sites scattered throughout the state,” said Horn, R-Frankenmuth. “I’m looking forward to seeing the transformation that is going to take place in communities large and small because of this legislation. Senate Bills 111-115 will be Public Acts 46-50. Left Photo Caption: State Sen. Ken Horn, R-Frankenmuth, takes questions on the newly signed MiThrive Initiative after Gov. Rick Snyder gave the bills final approval Thursday afternoon. Right Photo Caption: State Sen. Ken Horn, R-Frankenmuth; Senate Majority Leader Arlan Meekhof, R-West Olive; state Reps. Ben Frederick, R-Owosso and Vanessa Guerra, D-Saginaw; and Saginaw County leaders watch as Gov. 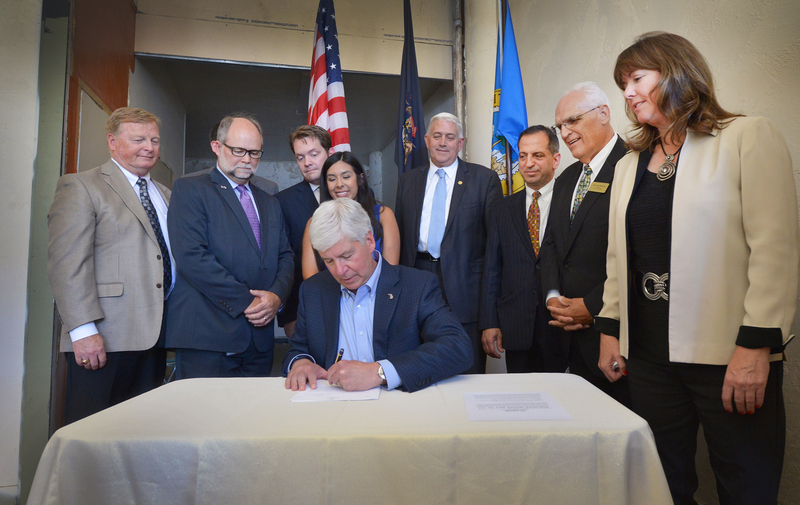 Rick Snyder signs the MiThrive initiative into law.